The Original 3HGR Sling is a versatile gun rest that will enable you to use trees, poles, beams and other vertical objects for additional support. You can easily transform the 3HGR into a harness or safety sling that will make carrying the gun a lot more safe and comfortable. Includes sling swivels. 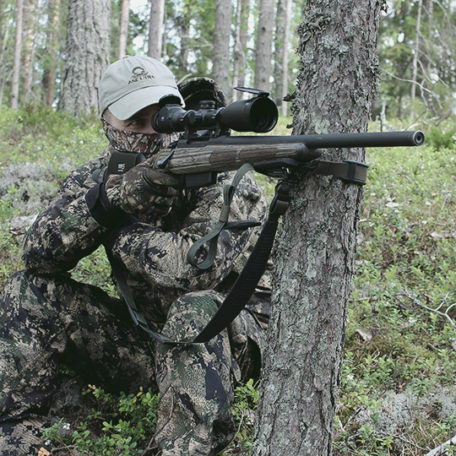 Demanding conditions in the wilderness often require improvised shooting positions to get above the undergrowth or other obstacles. The 3HGR will enable you to use trees, poles, beams and other vertical objects for additional support. With the 3HGR it is possible to deliver an accurate shot from a variety of shooting positions, shoot upward or downward at steep angles, rapidly switch between targets and even shoot at moving targets. The 3HGR is an excellent choice if, for example, the undergrowth, steep shooting angles, uneven or too soft substrate, such as deep snow, make the use of other supporting gear particularly challenging. The 3HGR also works perfectly with most bipod models by attaching them to the sling swivel stud located in the bottom of the gun rest. We have designed the 3HGR so that these utilization options compliment instead of compete with each other! Everyone who has carried a rifle for more than a mile knows how hard it can get on your shoulder. You can easily transform the 3HGR into a harness that will distribute the weight of the gun across both shoulders and makes carrying the gun a lot more balanced and comfortable – just place the support strap over your other shoulder. The difference when compared with a traditional gun sling is phenomenal, especially with suppressed or heavy rifles. 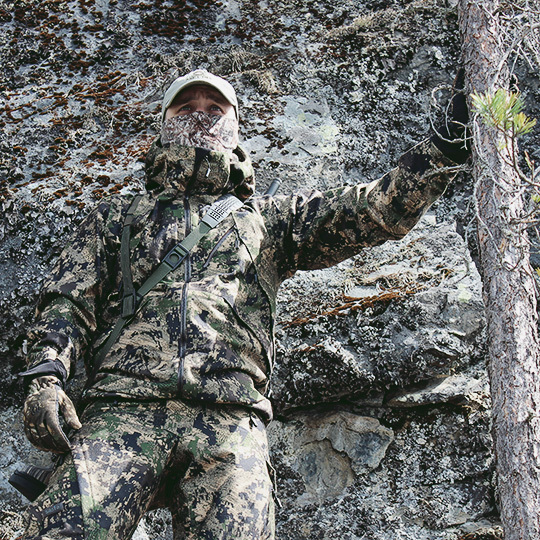 Sometimes getting to the best hunting grounds may require overcoming natural obstacles and crossing rough terrain. In the most challenging situations, you can use the 3HGR as a safety sling. Using it as a safety sling means that your gun will stay steady, and safe, on your back at all times.